Last November I visited the Providence Public Library. The building, a jewel of Providence, has undergone some renovations and the collections are growing. Help is available for you to navigate the materials held in the collections. The beautiful Providence Journal Rhode Island Room at the Providence Public Library. Photo by Diane Boumenot. The Providence Journal Rhode Island Room was recently restored with plenty of room for researchers to sit at the large oak tables, lighted by brass lamps. It’s a beautiful room and contains a decent Rhode Island genealogy collection in the bookcases that line the walls. 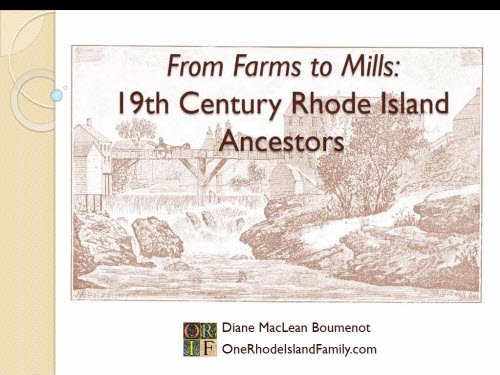 The Rhode Island Index and the Providence Journal Card Index are card files, arranged by subject, that help you find important Rhode Island stories from the 1900’s. My ordinary ancestors are not in there, but my more illustrious ones (ok, there are one or two) are. Newspapers are available on microfilm. 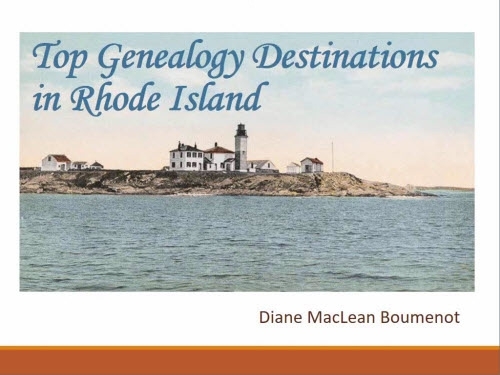 Kate pointed out that although obituaries are usually not in the Rhode Island Index, they may be in the Providence Journal Card Index for the first half of the 20th century. Catalog of the Rhode Island Collection. Photo by Diane Boumenot. Manuscripts, Sanborn Maps, scrapbooks about Providence architecture, and some business materials, including some jewelry and textile periodicals are among the special collections. Perhaps the most interesting to genealogists working remotely would be the new and growing digital image site as well as the older FLICKR set of Photograph and Image Collections. I was also intrigued by the Fred A. Arnold Collection, donated at his death in 1924, since he was a major genealogist in the Pawtuxet Arnold line. Kate recommended this book to me for my questions about Providence neighborhoods – Civic and Architectural Development of Providence by John Hutchins Cady. Although the book is too pricey in the used book market, I was able to order a reprint from Higginson Books, during their Christmas sale. Ancestry.com and AmericanAncestors.org (NEHGS) are available in the building. This would be a free opportunity to do a journal article search for your ancestors on the NEHGS website. You can pull up the full articles through the search screen. Kate and the other staff are happy to help researchers with their questions, and it’s advisable to consult them since not all the collections are on display. A card from the Rhode Island Index. Kate told me that there is interest in finally getting the older issues of the Providence Journal online, something that is badly needed. The Journal Company has chosen a vendor for the project and from what I understand, fundraising is the concern right now. I’m glad that this is being seriously discussed. The big news in Providence Public Library Special Collections is that the nearby Knight Library has generously donated the James N. Arnold Collection to the PPL. Kate is the only person I’ve ever met who shares my curiosity about James Newell Arnold (1844-1927). She repeated stories she had heard – through a lecture Providence archivist Paul Campbell has given from time to time, I think – about James Arnold’s poverty. Mr. Arnold’s zeal for collecting and organizing vital records and materials of historical and genealogical interest led him to publish and edit a magazine (“Narragansett Historical Register“) for nine years, publish the books of vital record abstracts still in use today, transcribe cemeteries, and amass a huge collection of ephemera, notes, records, and books. But none of this itinerant historical work was particularly lucrative. It is said (this is the part I got from Kate) that he was so poor and ill-kempt that the librarians at the Rhode Island Historical Society looked down their noses at him; he resented their ill treatment and developed a passionate dislike for the society. Thus, at death he willed his materials to the Knight Library in Providence. He was such a hoarder that it was difficult to box and remove the mountains of paper from his home. I have yet to find any picture of Mr. Arnold but from what I’ve read, I think he may have been disabled in some way, perhaps walked with a cane. The James N. Arnold Collection was hard to access and use at the Knight Library, and expensive to catalog and maintain. Recently an agreement was made with the Providence Public Library to take over the care and accessibility of the manuscript materials. Kate said her first priority for cataloging was not any notes from the vital records, which have essentially been published, but the more obscure unpublished materials. She hopes to make the first part of the materials available for use by researchers by, perhaps, this summer. When I visited the PPL in November, the boxes had recently arrived and were sitting in storage. Here are some pictures. Boxes of materials in storage from the James N. Arnold Collection. Yes, some materials were actually in their original 1920’s bakery boxes. A cake box, used for storage of Arnold’s papers. When the materials start to become available to researchers, I will be most curious about any notes Arnold kept on the Pawtuxet Arnold family. I am a little resentful that he never produced a book on them; I would like to see how far he got with the family. I had a helpful and interesting visit with Kate Wells. 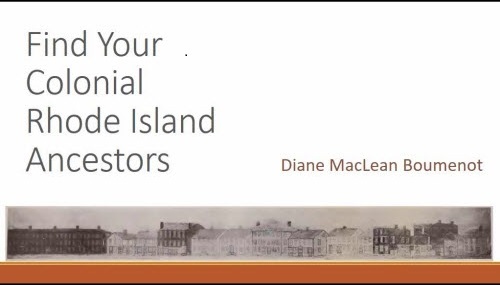 I encourage those with questions about their Rhode Island heritage to consider consulting the collections at the Providence Public Library. I have been researching my family tree for the last ten years. I just stumbled across your site, AMAZING ! I can now break down some ” brick walls” Thank you ! You made my day Jim!! thanks! on February 3, 2016 at 10:12 am | Reply Christine M.
Do you know if there are any plans to digitize that wonderful-looking card catalog? That would be so helpful! I don’t know the answer to that. When I go back in July to see the new collection, I’ll ask. thanks for leaving a note! Great site that I read and consult on matters (possible leads) of my research of the Battle of New Bern, 14 March 1862, in which members of the 4th and 5th Rhode Regiments (Col. Isaac Peace Rodman and Maj. John Wright, respectively) and Battery F, 1st Rhode Island (Capt. James Belger), participated. I seek copies of any letters, diaries, journals, and/or battlefield maps and sketches of the actions and movements of the combatants. and Thank You very much ……..
and hopefully another researcher, a collector, or a family member may find something for you someday. Good luck with your research! I suspect the Newport Historical Society might be a better fit for your needs. But it never hurts to ask. Thanks for leaving a note!